I have just watched The Man Who Invented Christmas (2017) starring Dan Stevens (alias Edward Ferrars from the 2008 BBC adaptation of Sense and Sensibility/Matthew Crawley from Downton Abbey). 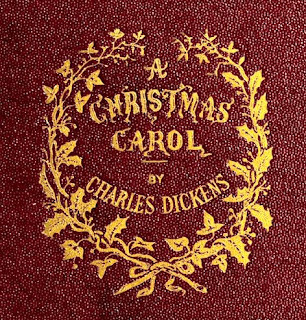 It tells the story of Charles Dickens, a successful writer who is struggling to meet his bills and support his ever-increasing family and desperately seeking inspiration for his next book. Once he has visualised the character of Scrooge (played by Christopher Plummer of Sound of Music fame), the story of A Christmas Carol writes itself around him. A Christmas Carol was published on 19 December 1843 and was a huge success. It is still very popular today and numerous adaptations have been made (two of which I’ve already watched this Christmas – Scrooged starring Bill Murray and A Christmas Carol starring Patrick Stewart). 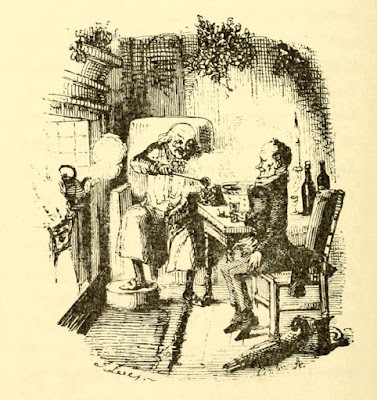 Some credit Dickens with bringing Christmas back into fashion, but is this true? 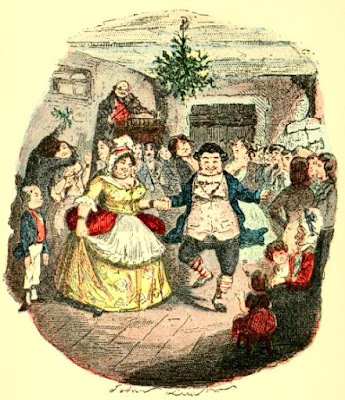 I thought I would see what I could find in contemporary sources and novels about Christmas celebrations in the late Georgian and Regency periods. Was Christmas Day a public holiday? The Persian ambassador clearly did not understand the necessity for a holiday on Christmas Day! Did people attend a church service on Christmas Day? 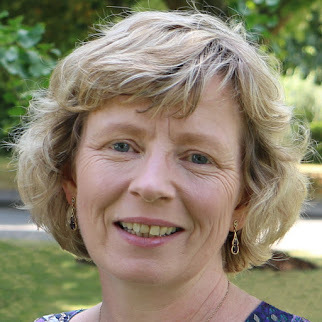 Was Christmas a time for family? Jane Austen certainly thought so. Christmas was a time of the year when the whole family could be together. 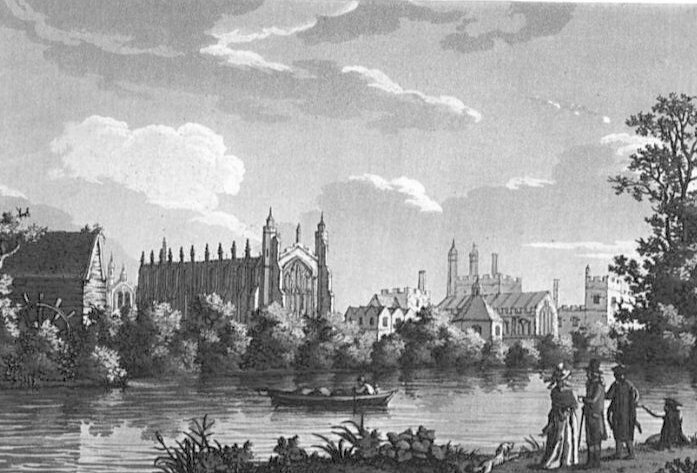 Many gentlemen’s sons (and sometimes daughters) were sent away to be educated at boarding schools such as Eton, and the Michaelmas Term ran from late September or October until Christmas. Did they have Christmas house parties? Did they have Christmas parties? Did people play games at Christmas? Did they give to the poor? Did they give each other presents? Did they have special Christmas food? Did they decorate their homes? Did they have Christmas trees? Christmas trees did not become widespread in England until after 1848 although Queen Charlotte had a Christmas tree from at least 1800. 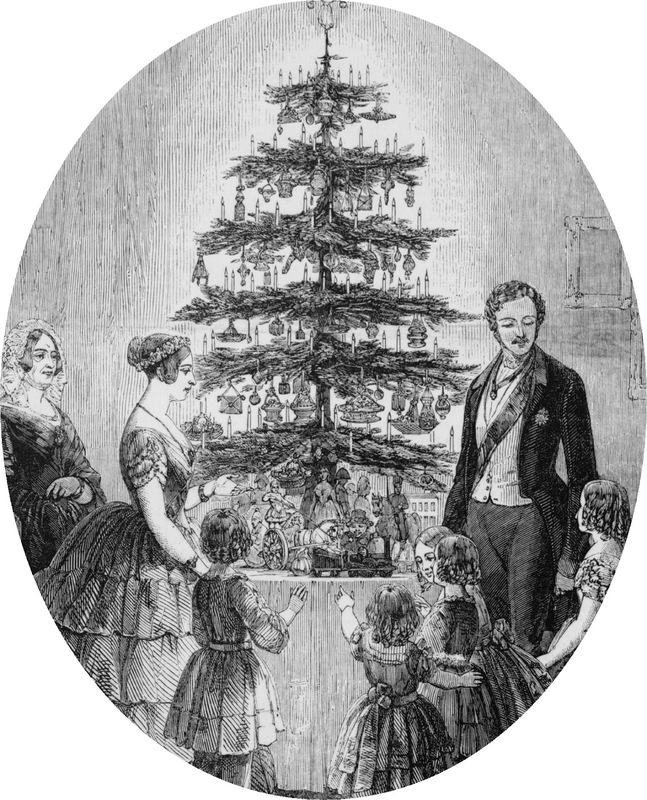 You can read more about this on my blog: Did they have Christmas trees in the Regency? 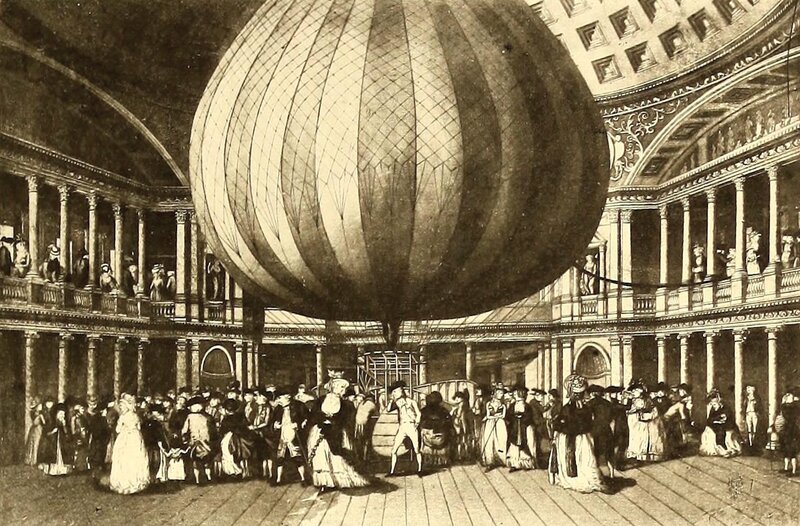 The Pantheon was a popular venue for public evening entertainments in late Georgian London. 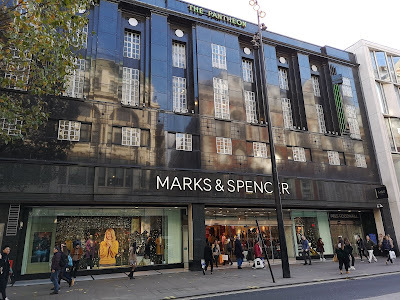 It was situated on the south side of Oxford Street where Marks and Spencer is today. 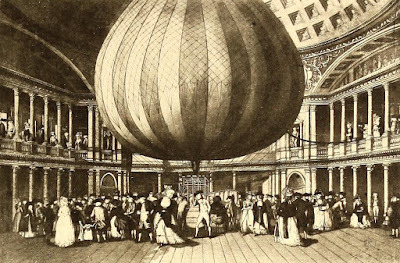 The Pantheon was a business venture by Philip Elias Turst who wanted to develop ‘a place of evening entertainment for the nobility and gentry.’1 He raised money for the enterprise by selling shares and employed James Wyatt as architect. 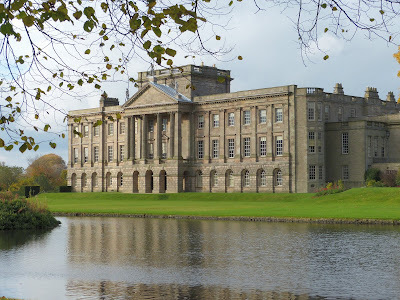 Work started in June 1769 and the building was finished in January 1772. 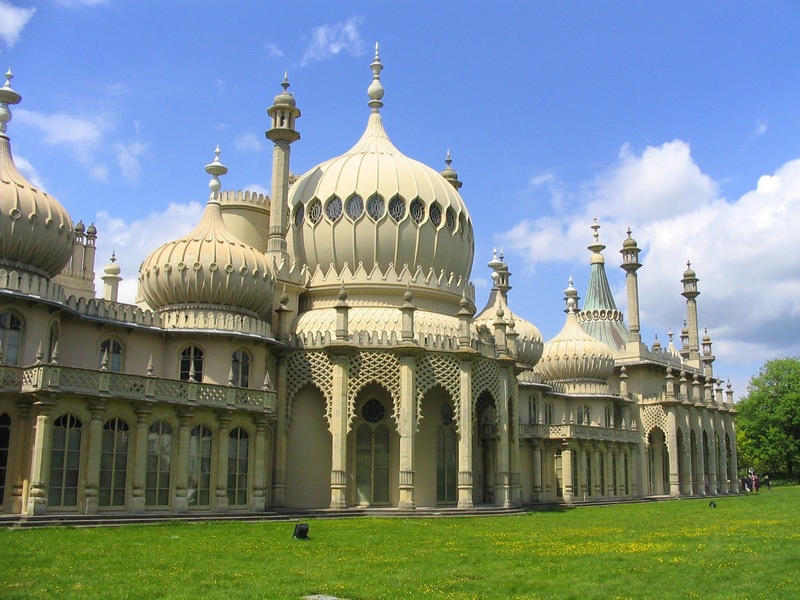 It derived its name from the dome which was copied from that of the Roman Pantheon. During the height of the Pantheon’s popularity, concerts were held regularly. 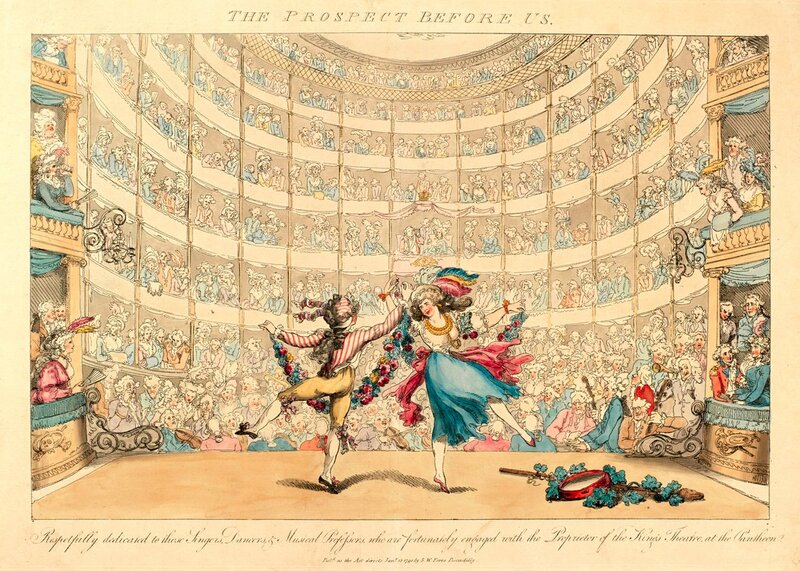 In 1774, the season included twelve subscription concerts which were followed by dancing. In 1784, a concert was held to celebrate the centenary of the birth of Handel which was attended by the King, Queen and royal family and over 1,600 other people. Out of season, the great room was used for exhibitions. In 1777, there was an exhibition demonstrating ‘Experiments on the Use of Conductors in preventing Buildings from being struck by Lightning’ and in 1781, there was an exhibition of the stained glass which Mr Pearson had made for a window at Salisbury Cathedral. The Pantheon was famous for its masquerades. There were typically two masquerades each season. They would begin at nine or ten o’clock and supper would not be served until twelve or later, usually in the underground tea-room. 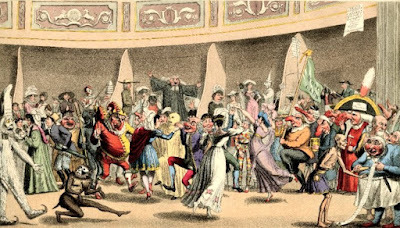 These masked balls or galas were sometimes sponsored by one of the men’s clubs, such as one held in 1789 sponsored by White’s. 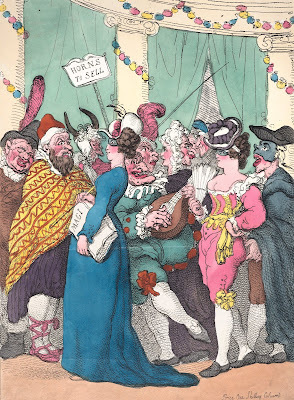 In Belinda, published in 1801, Maria Edgeworth sent her heroine to a masquerade at the Pantheon. 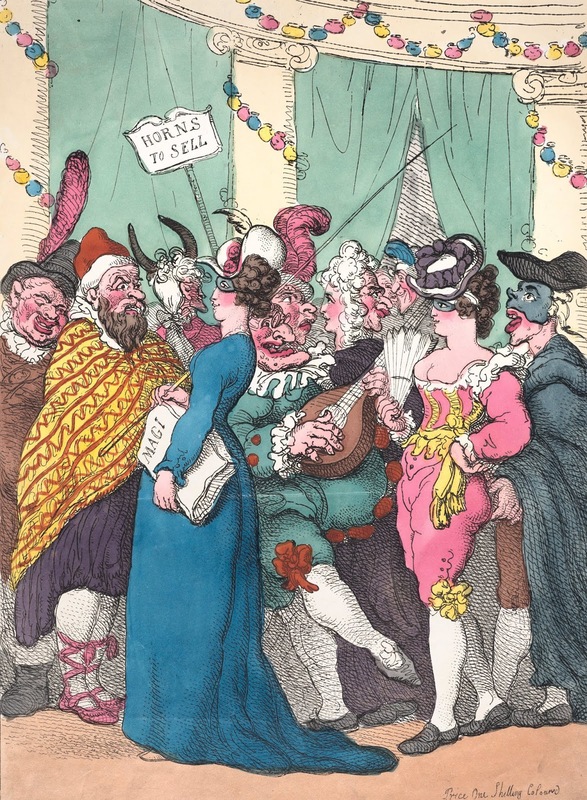 You can read more about this on my post about Regency Masquerades. 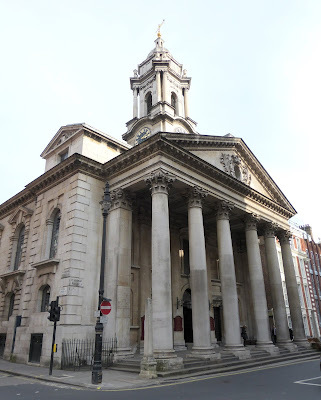 After the Haymarket Theatre was destroyed by fire in June 1789, the Pantheon was adapted for use as an opera house. 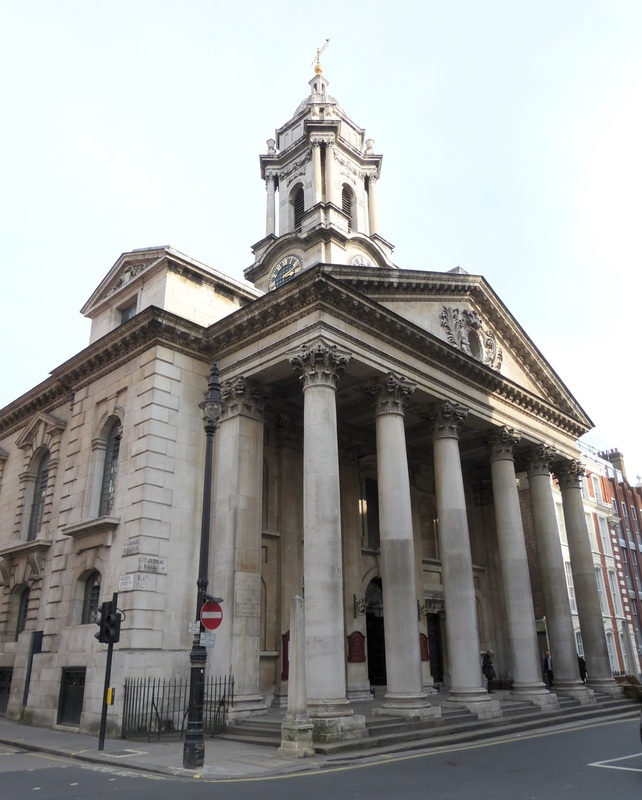 R B O’Reilly leased the Pantheon for twelve years at an annual rent of 3,000 guineas and was given a four-year licence for Italian opera to be performed there by the Lord Chamberlain. 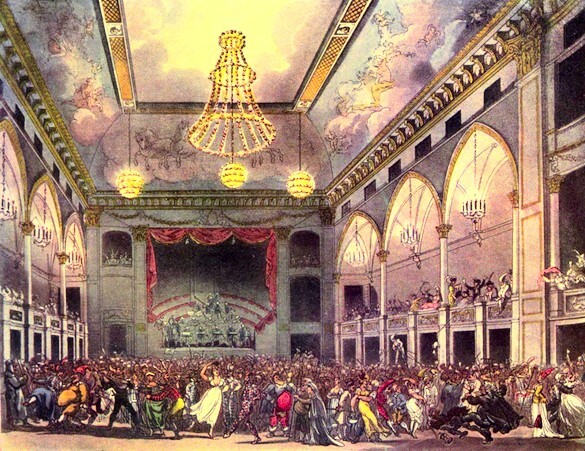 The new opera house opened on 17 February 1791 with the performance of Sacchini's Armida. On 14 January 1792, fire broke out in one of the new buildings added to the Pantheon in order to make it large enough for the performance of operas. 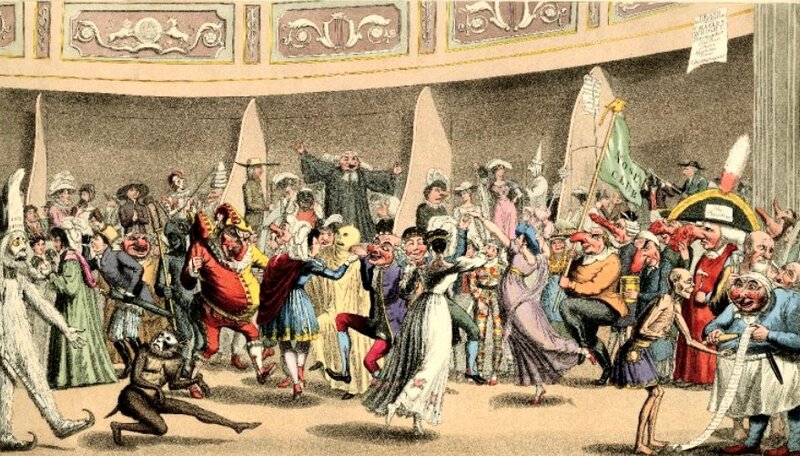 On 9 April 1795, the Pantheon reopened with a masquerade, but it failed to regain its former popularity and after a few years, Claggett absconded, leaving his rent unpaid. The shareholders took over the management of the Pantheon, continuing the normal programme of concerts, lectures, exhibitions and masquerades. It had been hoped that a licence would be granted for the performance of theatre, but this was contested by the winter theatres. In 1810-11, the Pantheon was leased by the National Institution for improving the Manufactures of the United Kingdom and the Arts connected therewith, but when the expense proved too great for them, they sold the lease to Colonel Henry Francis Greville, the proprietor of the Argyll Rooms. 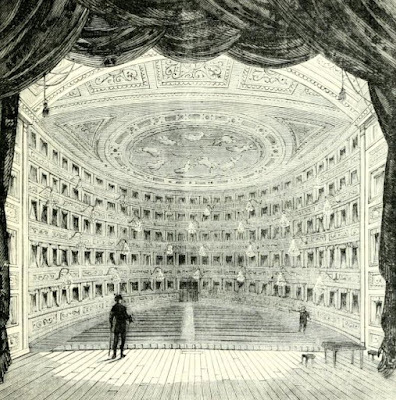 Greville held an annual licence for performances in the Argyll Rooms and had great plans for converting the Pantheon into a theatre and transferring his licence there. Unfortunately, his plans were bigger than his means and so he sold on the lease to his architect, Nicholas Cundy, and Cundy’s associate, Joas Pereira de Souza Caldas who was to manage the theatre. Greville’s role was to supply the Pantheon with a licence to perform. The new Pantheon was fraught with difficulties. There were disputes over the issue of the licence to perform and shortly after opening, the building was found to be unsafe and ordered to be closed by the Lord Chamberlain. Within a matter of months, both Caldas and Cundy had been declared bankrupt. The Lord Chamberlain refused to alter the terms of the licence limiting the Pantheon to the performance of music and dancing, burlettas and children’s dramatics. Greville refused to accept the licence on this basis, and the Lord Chamberlain refused to grant the licence to anyone else, so the Pantheon was forced to shut. Repeated applications were made for the grant of a licence as a winter theatre, but when they were refused, Cundy decided to open without one. Two days after opening the Pantheon as an English Opera House in July 1813, the Lord Chamberlain ordered the theatre to be closed. Cundy appealed unsuccessfully whilst continuing performances. Despite receiving a fine, he tried again briefly in December 1813. 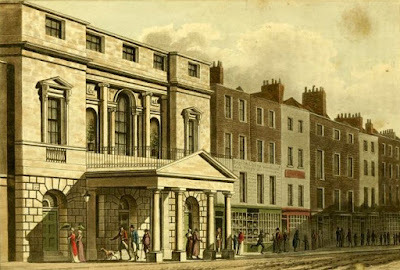 In 1814, everything movable was sold by auction to help meet rent arrears and the building stood empty for many years. 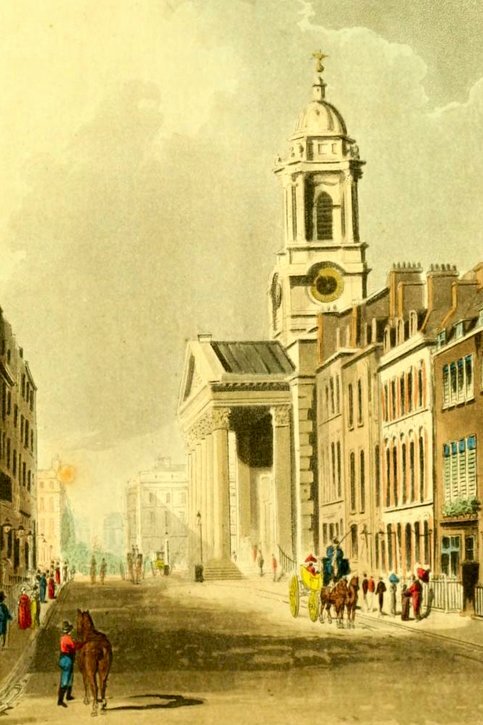 In 1833-4, the Pantheon was converted into a bazaar by the architect Sydney Smirke. The entrance fronts onto Oxford Street and Poland Street remained, but the roof and many of the walls were taken down. The Pantheon was acquired by wine merchants W and A Gilbey in 1867 and used as offices and showrooms until it was sold to developers in the 1930s. 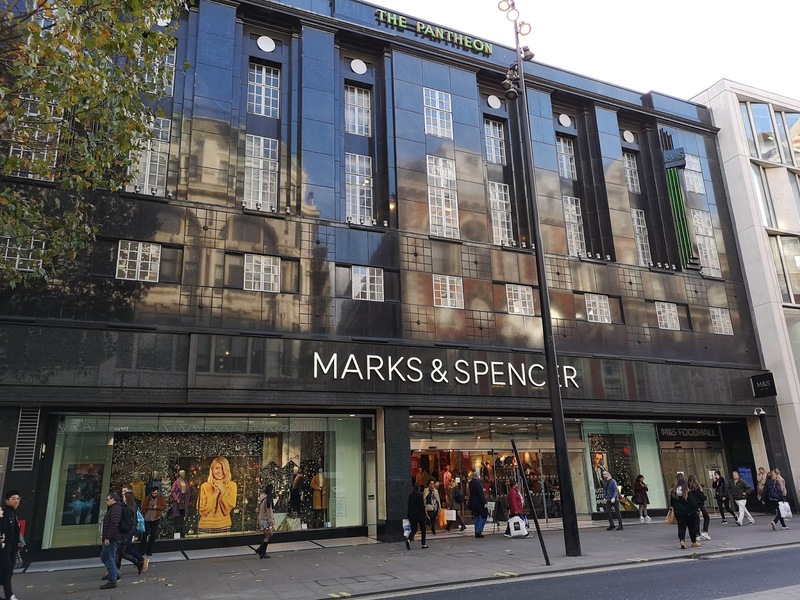 The building was demolished and Marks and Spencer was built on the site. 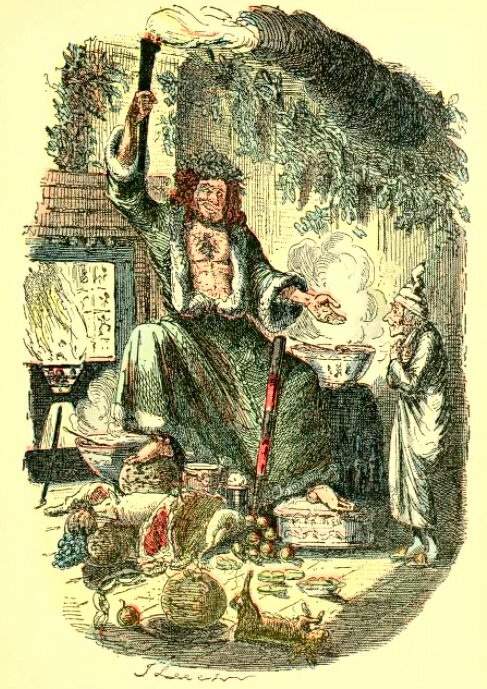 (1) Ackermann, Rudolph and Pyne, William Henry, The Microcosm of London or London in miniature Volume 2 (Rudolph Ackermann 1808-1810, reprinted 1904). (2) From a letter from Horace Walpole to Horace Mann quoted in Walford, Edward, Old and New London: A narrative of its history, its people, and its places (Cassell, Petter & Galpin, 1878, London) Vol 4. (3) British History online said it opened on 27 January 1772 whereas Old and New London said 28 April. The earlier date must be correct as British History online quotes The Gazetteer and New Daily Advertiser 29 January 1772 as its source. (4) Ackermann's Repository of Arts, Literature, Commerce, Manufactures, Fashions and Politics (1814). (5) Burney, Fanny, Evelina or the history of a young lady’s entrance into the world (1778). (6) Burney, Fanny, Cecilia or Memoirs of an Heiress (1782). (8) Knowles, Rachel, A Perfect Match (2015). (10) Cavendish, Georgiana, Duchess of Devonshire, The Sylph (1778). (11) Burney, Fanny, Cecilia or Memoirs of an Heiress (1782). (13) Ackermann, Rudolph and Pyne, William Henry, The Microcosm of London or London in miniature Volume 2 (Rudolph Ackermann 1808-1810, reprinted 1904). (14) Ackermann's Repository of Arts, Literature, Commerce, Manufactures, Fashions and Politics (1814). (16) From The Times, 10 January 1795 as quoted in British History online. (17) Ackermann, Rudolph and Pyne, William Henry, The Microcosm of London or London in miniature Volume 2 (Rudolph Ackermann 1808-1810, reprinted 1904). (19) Walford op cit. British History online states the opening date as 27 February rather than 25 February. (20) Weale, John, The Pictorial Handbook of London (1854). 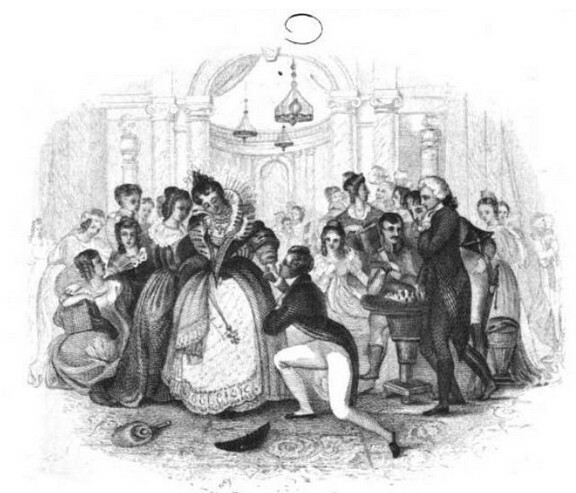 A masquerade is a valuable plot device for a historical romance writer. There is no end to the scenarios that could arise when your characters’ identities are disguised. When writing the first draft of my current work-in-progress (a sequel to A Perfect Match currently known as Georgiana after its heroine), I saw how I could use a masquerade to take the story where I wanted it to go. Questions immediately arose in my mind. I knew that masquerades were very popular in the 18th century, but did they still have masquerades in 1810? Were they as I imagined them? What sort of costumes did they wear, and did they always wear masks? Not all masquerades were public affairs. During his stay in London in 1809-10, the Persian ambassador, Mirza Abul Hassan Khan, kept a journal, and he wrote of several masquerades he had attended. One was a breakfast masquerade held at the house of Lady Buckinghamshire on 22 May 1810. The guests had been invited to come in fancy dress but the ambassador and his host, Sir Gore Ouseley, did not. The ambassador noted that the costumes included a lady’s maid, a sailor, and a Roman empress, and numerous Iranians, Turks and Indians. He commented that one Iranian ‘wore a false beard made from the hair of a cat or a goat.’ I like to use real events in my stories where possible and so my heroine Georgiana attends this breakfast masquerade along with the Persian ambassador and some 500 others. 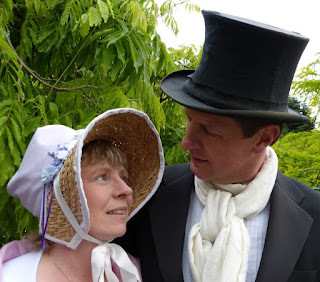 He attended another masquerade – this time a ball – at Mrs Chichester’s house on 18 June. Sir Gore Ouseley pretended he was not going but actually dressed up as a Persian and tried to fool the ambassador. At another masquerade in June, the ambassador was approached by Lady William Gordon, who was then unknown to him, disguised as a priest. 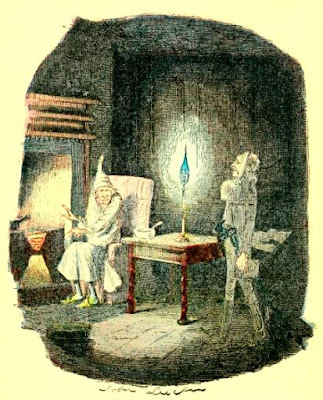 Judging by the number of contemporary novels that include masquerades, it would appear to have been generally accepted that a person’s identity could be successfully hidden by their costume. The accounts often include details of the characters and costumes worn. Burney also mentions a Minerva, a Don Devil and a Harlequin. Belinda by Maria Edgeworth was published in 1801. Edgeworth describes how Belinda and her hostess, Lady Delacour, are to go to a masquerade. The disguise is so good that Lady Delacour’s admirer, Clarence Hervey, mistakes Belinda for Lady Delacour, and Belinda overhears a conversation not intended for her ears which includes derogatory comments about her aunt and herself. 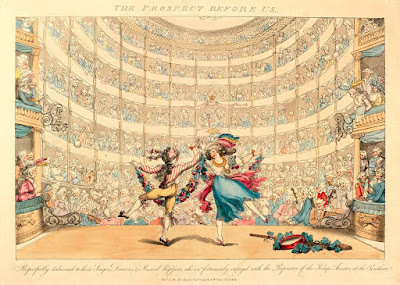 Further suggestions of the costumes people wore can be gleaned from the description of the masqued ball in Vauxhall Gardens in May 1787 which was reported in The Times. The costumes of note included ‘a lady who professed herself eight months advanced in pregnancy’7 which was judged to be an excellent character, but a poor disguise as she was unmasked. She was accompanied by a nurse. There was also a wild Irishman, a wooden-legged Harlequin, a noisy watchman, a woman selling primroses, a Punch, young Astley as half Beau and half Belle, a Highland lad and lassie, the character of a porter from the comic opera The Duenna who ‘asked no more than nature craved’ (a line from The Duenna which was written by Richard Brinsley Sheridan) and a cobbler, together with an assortment of cricketers, haymakers, flower girls and vestal virgins. (1) From Feltham, John, The Picture of London for 1810 (1810). (2) From Ackermann, Rudolph and Pyne, William Henry, The Microcosm of London or London in miniature Volume 2 (Rudolph Ackermann 1808-1810, reprinted 1904). (3) From The Times, 31 May 1810. (4) From Cavendish, Georgiana, Duchess of Devonshire, The Sylph (1778). (5) From Burney, Fanny, Cecilia or Memoirs of an Heiress (1782). (6) From Edgeworth, Maria, Belinda (1801). (7) From The Times, 18 May 1787. 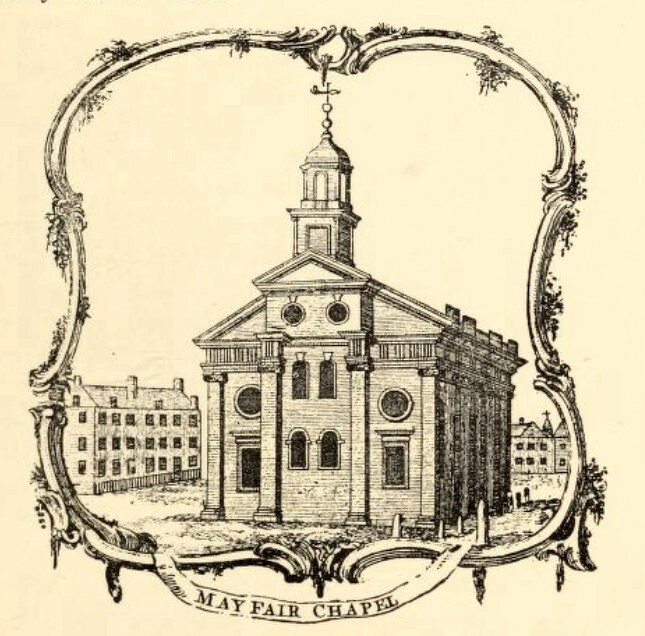 Although marriages usually took place in parish churches prior to this, it was possible to circumvent the system and get married in secret at places like the Fleet prison and St George’s Chapel, Mayfair. The 1753 Act stated that all marriages in England had to take place in a parish church or chapel, either after banns or by licence, unless under special licence. The law did not apply to members of the royal family. Nor did it apply to Jews and Quakers, but no concessions were made for other non-Conformists. 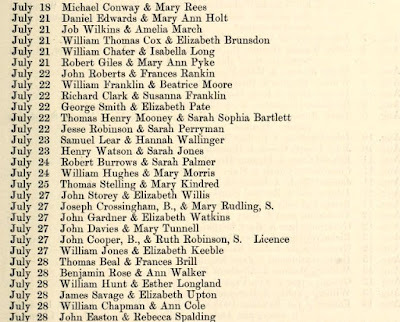 There was a rush to get married before the Act came into force and the registers of St George’s Chapel state that 1,136 marriages took place between October 1753 and March 1754 including 61 on the 24 March 1754. Banns were a formal way of announcing the couple’s intention to marry. The Banns of Matrimony had to be read out, in a prescribed format, for three Sundays prior to the wedding in the parish church or chapel that the couple attended, or in both parish churches or chapels if the couple were from different parishes. The couple had to give seven days’ notice to the minister of each church before the first reading of the banns, and provide details of their names, where they lived and how long they had lived there for. If either of the couple were under the age of 21 years and previously unmarried, then a parent or guardian of the underage party could forbid the banns. However, if they failed to object at the time the banns were read, they could not later object to the marriage. The marriage ceremony could only take place at one of the places where the banns were read. It had to be witnessed by two people in addition to the minister taking the ceremony, and the marriage register had to be signed by the minister, the witnesses and the two parties getting married. This was by far the most common way of getting married. Sometimes it was not convenient to wait for the banns to be read, for example if the bride was pregnant, and it was possible to get married more quickly by applying for a common licence. This was available from a bishop or archbishop and their offices. Before the licence could be issued, one of the couple or someone acting on their behalf had to submit a sworn statement or allegation that there was no impediment of kindred or alliance to the marriage, and if one or both parties were underage and previously unmarried, that they had the consent of their parent or guardian. There was also a requirement for the groom or someone acting on his behalf to enter a bond where a substantial amount of money would be forfeited if an impediment existed. The marriage had to take place in the church or chapel of the parish where one of the couple had been residing for at least four weeks. As with banns, the wedding had to take place in front of two witnesses who signed the register along with the minster and the couple. minor and states that her father's consent had been obtained. The only legal way to be married in a place other than a parish church or chapel after banns or by licence was to be married by special licence. This was a much rarer and more expensive type of licence than a common licence and could only be issued by the Archbishop of Canterbury. 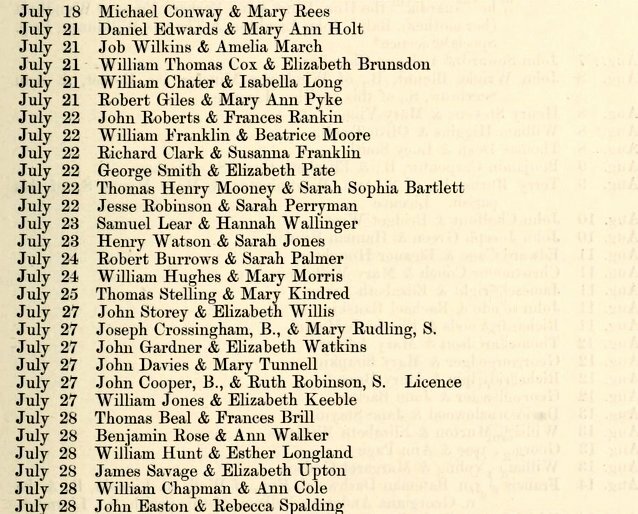 A special licence still required an allegation that there was no impediment of kindred or alliance to the marriage, and that the consent of a parent or guardian for underage parties had been given, but it enabled a couple to get married anytime and anywhere, such as in the private chapel of their home. and that the underage bride's guardians had given consent. • The marriage had to take place within three months of the banns being completed or from the date the licence was granted. • The marriage had to take place between 8 o’clock and 12 noon, unless by special licence. • The period of residency for the granting of a licence was reduced to 15 days. • It was no longer necessary to enter into a separate bond when applying for a licence. Hardwicke’s Marriage Act did not apply in Scotland where it was possible to get married immediately by making declarations in front of witnesses. Underage couples could be married without the consent of parents or guardians, and there was no need to wait for the reading of the banns. 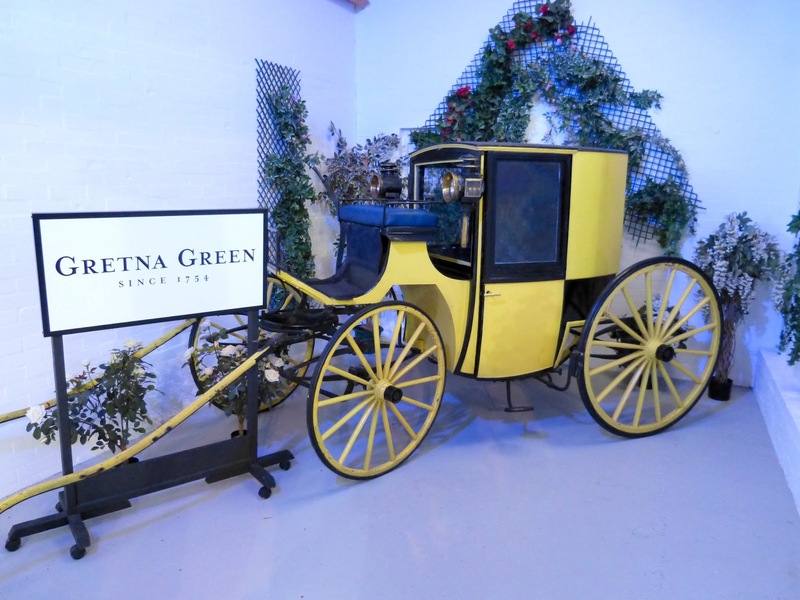 As a result, many such couples fled to the border to be married, most famously to Gretna Green. You can read more about Gretna Green here. 2. 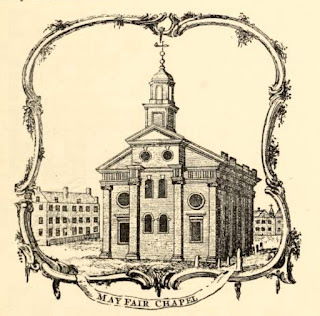 All quotes from the marriage registers of St George’s Hanover Square are from the transcriptions edited by John Chapman (see full details below).